Beauty Is Eternity. Gazing At Itself In A Mirror. It might not always be our favorite thing to do everyday, but each one of us uses a mirror an average of eight times a day! That's probably as much as you use your refrigerator and probably more than you use your car. 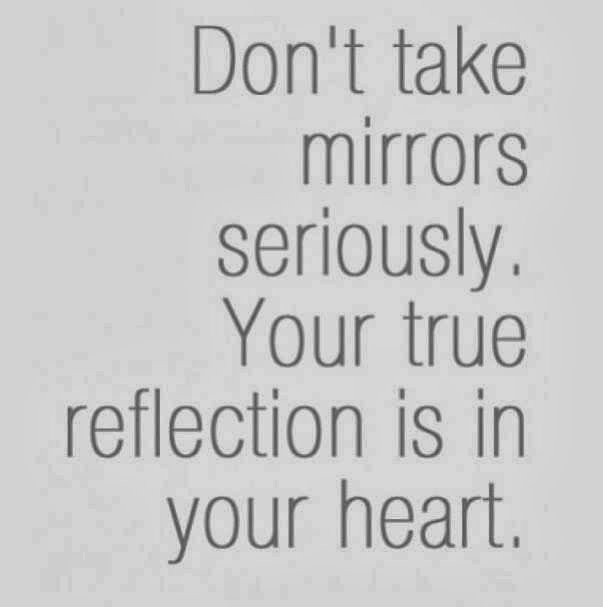 But we bet you put more thought into choosing those items than you did in choosing your bathroom vanity mirror! It's time to reflect on the looking glass in our bathrooms and consider what each style says and which one is right for our bathroom remodel! 1. 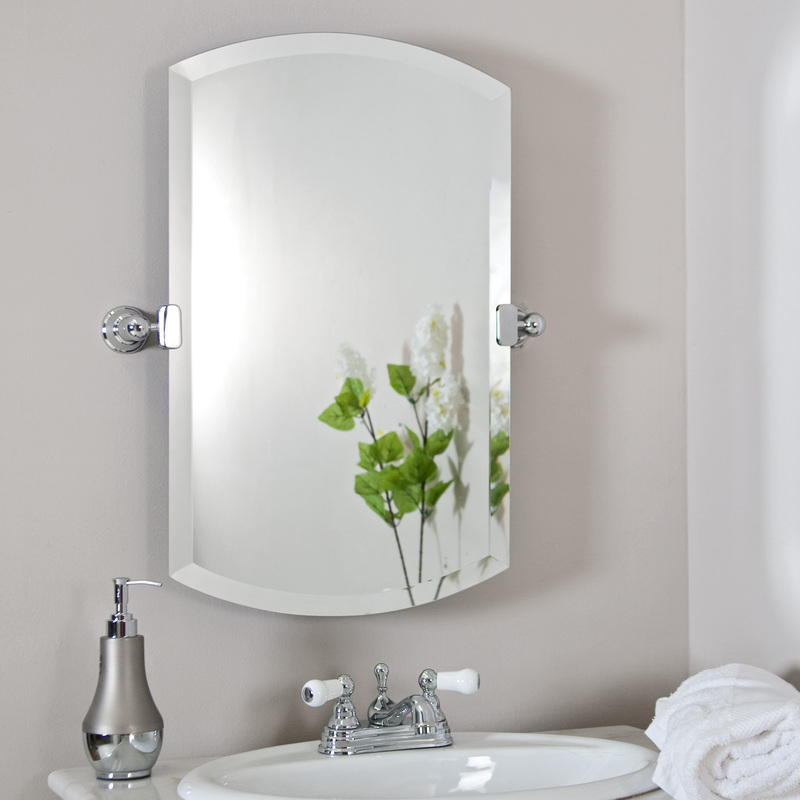 Large Frameless Mirror With Chrome Clamps: a great style for a small powder room, or a small modern master bath. 2. Full Wall Mirror With Inset Light Fixtures: these mirrors can make a room appear larger and reflect light around the room better. They can also pair wait with dark cabinetry or paint. 3. 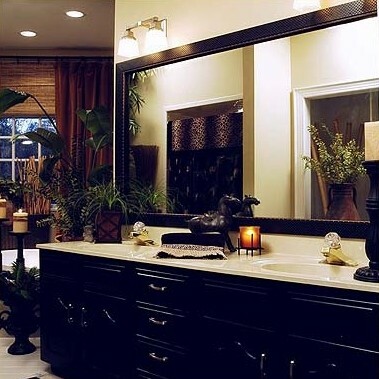 Large Framed Mirror: whether the frame matches or compliments the cabinetry, there is no doubt a framed mirror adds a touch of upscale class to any bathroom! 5. 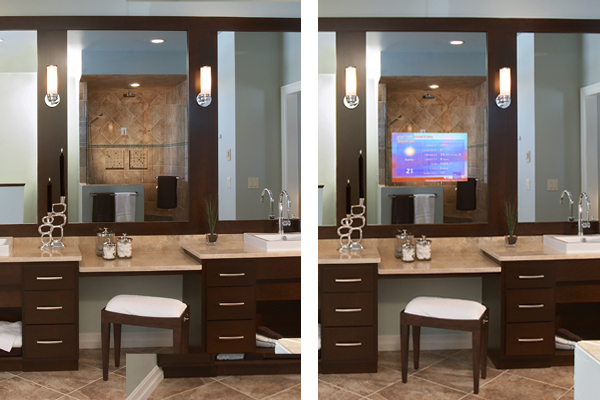 Mirror With Integrated TV Screen: this hot item will only set you back about $2,400 - which might be worth it if you love a good, long soak in the tub! 6. Beveled Mirror: dual or single, a beveled mirror has a glamorous look - like a chandelier! 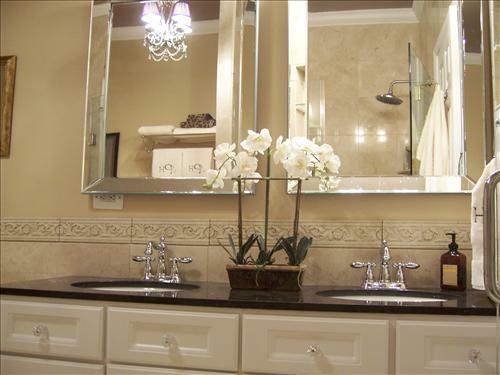 Click here to get more bathroom remodeling inspiration in AK's Atlanta Bath Gallery pages!